Just look at those gorgeous pink toe nails and they are double. What could be better. Take care. We love your pink toenails too. Have a serene Sunday. Mwrowr what a gorgeous Lady Cat! Pink looks so good on those toesies! Double the claws...never a bad thing. Those pink nail caps are eye catching! Allie we always love your pretty pink pawicure! Allie, you are my very own personal fashion icon. We seriously need to trade the boyz in for something...spa certificates, niptinis, ...anything! Allie definitely makes a statement! Allie, your pink toenails reflect beautifully! You look deep in thought, Allie. Allie! You look so very beauteous! 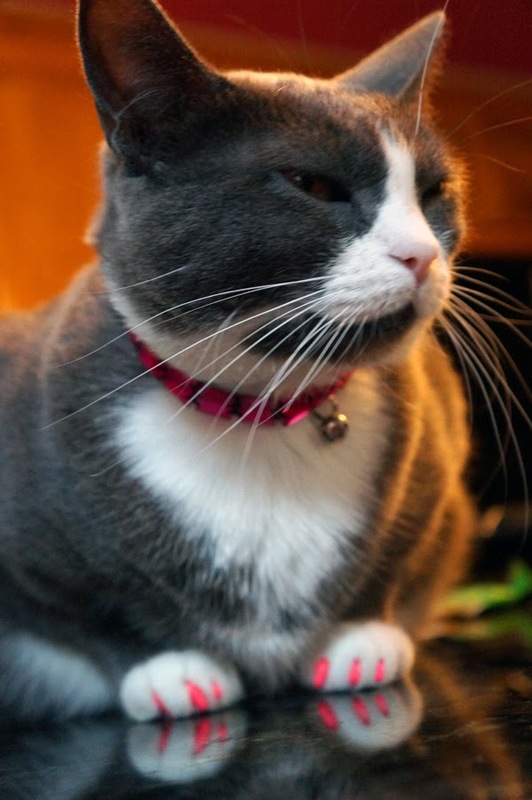 Your little pink manicure totally compliments your otherwise neutral fur coat. Very stylin'. aww.. a double manicure! how sweet.